Below is a the current ballot for post officer elections to be conducted at our annual meeting on May 24, 2018. All positions will be open for nominations during the meeting with special attention to the Judge Advocate position that does not have a current nominee. Any member wishing to be added to the ballot please let me know and come to the meeting. We will be installing the new officers at our general meeting on June 28th. As of April 26, 2018 the following members are the nominees for the respective offices. All positions remain open to any member that would like to run for an office. We are real close to finishing up the details to file our Articles of Incorporation with the state. I hope to take the final vote at our next meeting which will be on December 21st and we will have a potluck dinner afterwards. All members are welcome so please bring a dish to pass and join us. Starting in January we will be holding our 1st gun raffle. We will have 1000 tickets available and they will cost $5.00 each. The winning names will be drawn at our summer spaghetti dinner which will beheld on July 10th. We plan to give away a rifle and a hand gun, Wayne Blank has the details on the guns. Once again we plan to sponsor a Christmas Care program. 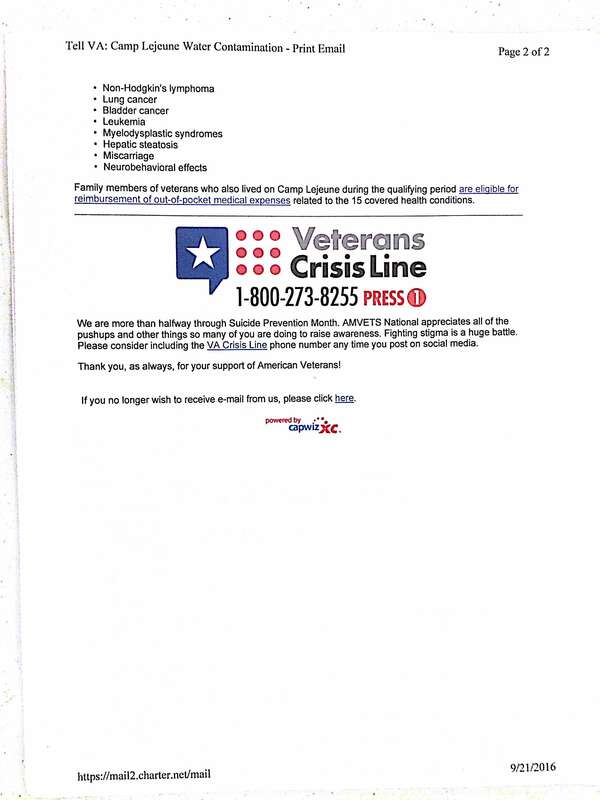 We will be looking for 2 veteran families that needs some help so if you know anyone please let us know. Any ideas are welcome. Our last spaghetti dinner was on October 10th and we served 191 dinners and netted about $750. We are taking the winter off so please come see us in April next year for some really good food. Looks like we are going to have a very busy Veterans Day week stating on November 9th at the Monroe County Community College. Wayne Blank and the college will be hosting the 2nd annual Veterans Celebration in the La-Z-Boy Theater. We are providing our Tribute to the Fallen video in the board room off the atrium and it will be shown from 6-7. At 7 everyone will move into the theater for the program which will include guest speaker Tom Treece followed by the Springfield Rifle Drill Team. Amvets will also provide an information table in the atrium prior to the program. We will have our float in the Luna Pier Veterans Parade on Saturday, November 11th. The parade steps off at noon so any member that would like to ride on our float should be at the water tower by 11;30. American Legion Post 193 will be the host organization and they will provide food and drink after the ceremony at their post on Harold Dr.
On Sunday, November 12th at 2pm there will be a dedication ceremony at Loranger Square in honor of the new statue of President James Monroe. Once again this year we are putting together a Christmas Care Program. We will be looking for a couple of needy families, preferably veterans, to help out. Last year we helped 2 families, provided boots and gloves to the children at Oaks Of Righteousness homeless shelter and helped Will Bruck and Visiting Angels with their program. If anyone has any suggestions please email us at amvets1942@gmail.com. Our November meeting date has been moved up to the 16th due to Thanksgiving Day, the meeting will start at 7pm. Boy, it has been a busy few months since my last update. We had another successful spaghetti dinner in July and are preparing for our next one on October 10th from 5 -7 pm. I am proud to say that our fair experience this year was very gratifying and a huge success. We invited a new group into the booth this year and they graciously accepted. Military Families of Monroe County is a very nice addition to our display. Along with American Legion Post 40 and Marine Corp League Detachment 157 we were recognized with a 3rd place banner by the fair judges again this year. We entered a float in the parade this year and had a good showing of members riding and waving at the crowd. It seemed a lot easier on the old guys since we didn’t have to walk. We were preceded by the Marine Corp League Pipes and Drum Detachment from Royal Oak, MI. Local Amvets member Will Austin is a member of this unit and arranged for them to come to our parade. They performed a number of military songs which was very refreshing. Our Veterans Day at the Fair went off without a hitch, we were supported by volunteers from a lot of local veterans’ groups this year. American Legion Riders Post 514, Veterans of Foreign Wars Post 1138, American Legion Post 40, Marine Corp League Detachment 157 and members of Amvets Post 1942 all worked together to greet over 600 veterans to the fair this year. At the end of the day, I was informed that next year the hours will be extended to include the entire day. I plan to work with all the food vendors that participate in our veteran discount program so they are on board with the change. I am sure they will be happy to accommodate us because they have been so supportive in the past. The entertainment portion of the day was highlighted with our guest speaker William Bruck, a local military member who has been deployed to Iraq and Afghanistan and is currently serving in the Army Reserves as a Chief Warrant Officer 3rd class. He spoke of how every veteran matters and has something to contribute to society because of his or her life experience and military background. This was followed by the Monroe County Farm Bureau recognizing the oldest veteran in attendance, Richard Miller at the age of 94. He briskly strode to the stage to receive his prize pack of local restaurant gift cards. For the first time this year, they chose to honor the longest serving veteran and this was Joe Diaz for his 40 years of service in the Navy. Joe opted to pass his restaurant gift cards to the next longest serving veteran who was Sam Messer for his 28 1/2 years in the Army. 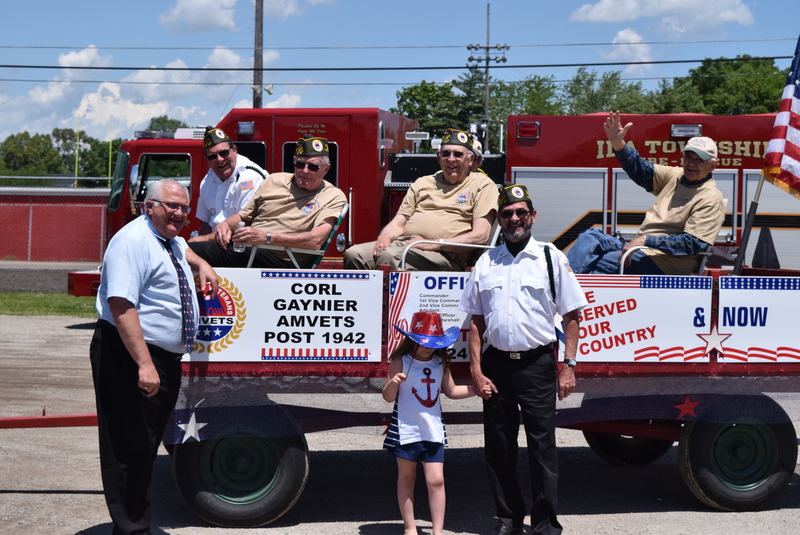 The River Raisin Sweet Adeline’s performed a number of songs again this year and local poet Lucy Gerber recited a couple of military themed poems that she authored. Lucy also presented us with a framed copy of a tribute entitled Veterans Day at the Fair. At the conclusion of the program U.S. Congressman Tim Walberg and State Senator Dale Zorn performed the Vietnam Era Commemorative Pin presentation. As in the past we finished with the Veteran Parade escorted by the Monroe County Sheriff’s Office. A color guard led the parade with members from VFW 1138, Amvets 1942 and Legion Post 514 along with Will Austin on the bagpipes. Trojan Motorsports provided a couple of custom golf carts to carry those that weren’t able to walk and Berlin Township and Ida Township Volunteer Fire Departments followed with the ambulance cart that thankfully went used. In addition to all of this, Amvets Post 29 from Mount Clemons, MI. brought the Memorial to the Fallen Wall to our fair. We were able to have this memorial set up next to the entertainment tent for the day. This wall memorializes all the Michigan lives lost since Operation Desert Shield began in August 1990 to include 11 Monroe County residents. It was so well received that we were asked by representatives of the fair board if it would be possible to have the display for the entire week next year. We had a very productive meeting last night. We have a newly installed executive board and they are as follows. 3 year Trustee: Jerry Heck. David Craig remained as our Quartermaster and Doug Thoma is still our Chaplain. We discussed the upcoming spaghetti dinner that will be held on Tuesday, July 11th, tickets are available so come enjoy some really good food and visit with us awhile. We donated $750 to Military Families of Monroe County to help with a morale boosting care package they are sending to the USS Fitzgerald. The package includes t-shirts, socks, food snacks and personal hygiene products for all the members of the ship. If anyone wants to contribute please reply and I will forward the info to you. Also, we donated $100 to the Marine Corp League Pipe and Drum Band for bagpipe covers. We also discussed the upcoming events at the fair, we plan on having our float in the parade and anyone interested in riding give me a call, 313-617-0691. Also if you are interested in working a gate shift greeting the veterans on Monday, July 31st or working a shift in the fair booth, call me. For future referances, the link will be available in the column to the right under the heading “White Clover Assistance Form”. As I look back on all that we did this weekend I am very proud and thankful to be affiliated with such a great bunch of veterans. To those that gave up their time to help in some way, we couldn’t have done what we did without you. The tombstone set-up, guard duty, the pickup and delivery of the stage, the parade float set-up, parade and then the tear down went flawless and it all looked great! We showed the county that we are strong with so many riding on the float, best showing since I have been here. Thank you for your time and look forward to doing it again next year. We had a very successful White Clover campaign this last weekend, we collected over $2600 at 5 locations. If anyone knows of a veteran that needs help please let us know how we can help. Next weekend we are celebrating Memorial Day and we are doing some of our traditional events with a couple of changes. We are setting up the tombstone display at Soldiers and Sailors Park at 9am Saturday, May 27th and picking up the display at 6pm on Monday, May 29th. Anyone wanting to help just show-up at the appointed time and we will put you to work. Also, we will be providing the guard detail all weekend long with 3 hour shifts starting at noon on Saturday. Please give me a call at 734-241-4398 if you can cover a shift or two. On Monday we will have a pickup pulling an open flat bed farm wagon decorated with some new signs identifying our post and anyone that wants to ride please be at the VFW post by 1pm. We will not be walking this year so I hope you will come join us. After the dedication ceremony the VFW will be hosting the annual hot dog cookout and all are welcome. Our annual election of Officers will take place at our next meeting this Thursday on May 25th. The ballot is currently of officers listed below. must be present at the meeting to participate. Our White Clover Campaign will take place on May 19th and 20th. We have door locations still available for anyone that would like to help. The Post Commander will be sending out emails to all known addresses concerning this subject this week. Our annual election of Officers will take place at our next meeting on May 25th. All positions are still open and anyone that is interested in a position must be present at the meeting to participate. The following is the current positions ballot. Commander, 1st Vice Commander, 2nd Vice Commander, Finance Officer, Adjutant, Provost Marshall, Judge Advocate, 1 Yr. Trustee, 2 Yr. Trustee, Third Yr. Trustee. Thank You goes out to by Dan Gentner, Doug Thoma, Frank Rafko, Pam Trowbridge, Vince Calkins and Sam Struth for manning the table at the NRA Recruitment Drive held at Cabela’s on February 11 & 12. We will be hosting Veterans Day at the Fair again this year, need gate greeters to fill 3 hour shifts starting at 9:00 a.m. and finishing at 6:00 p.m.
Ceremony and parade will be at 2:30 p.m. at the tent behind the MBT Expo building. We need 3 flag carriers and 2 or 3 people to drive golf carts carrying veterans that can’t walk in the parade. The Post 1942 will be hosting the District 1 business meeting on March 11, 2017 starting at 10am. Post officer elections will take place at May meeting with nominations being placed on the ballot at the April meeting. Must be present to vote. White Clover fundraising weekend will be May 19 & 20, looking to staff 6 locations from 9-6, 3 hour shifts. No longer having Tribute to the Fallen on Memorial Day weekend, some type of program may be held on Veterans Day weekend at the college. Tombstone display, need volunteers for set-up, take-down and guard duty weekend of May 26-29. 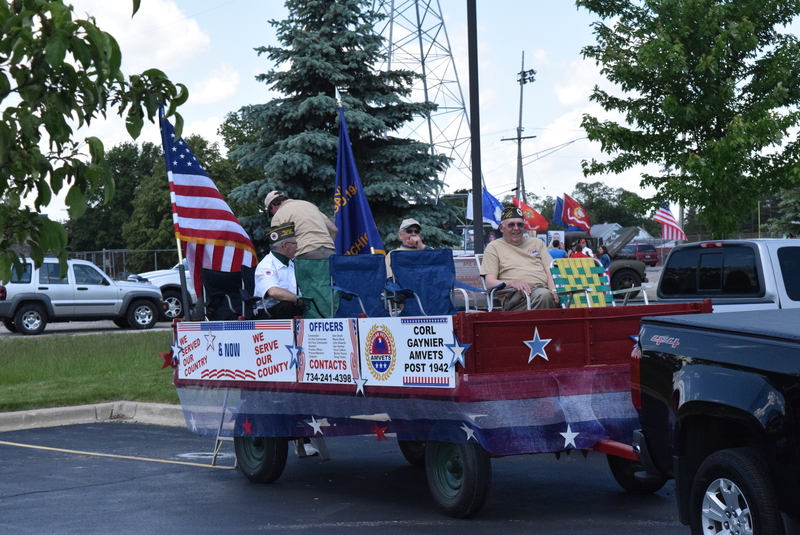 Memorial Day parade, we will have a trailer available for any member that wants to participate but doesn’t want to walk, details when made available. Tickets are now available for the Post Spaghetti Dinner being held on Tuesday, April 11, 2017 at 5:00 p.m. to 7:00 p.m.
Dinner is being held at the VFW Hall at 400 Jones Ave. Monroe MI. Respective Officer Reports were given. The new post T-shirts came in. People who purchased shirts previously can get replacements of their purchase at no charge. Some additional shirt sizes were ordered. A contribution was made to the Family Counseling and Shelter Services of Monroe County. A contribution made to a Persian Gulf War Veteran. Post Spaghetti Dinner coming up October 11th. If you need tickets, want to help, contribute a dessert. Contact Sam Struth. Stand Down at the Salvation Army 815 E First St. 10a – 3p. Vietnam Era Veterans Pinning Ceremony will be conducted at 10a. So if you, or someone you know that is a Vietnam Era Veteran and have not received a pin, this is another opportunity. Next Post Membership Meeting: October 27, 2016. The September Post Membership meeting will be next week on Thursday, September, 2016 starting at 7:00 p.m. At the VFW Hall on the corner of Jones Ave and Laplaisance Rd. 14 members present with 1 guest. Guest Rob Oetjens gave the members in attendance about the Veterans Treatment Court. Afterwards, Commander Sam Struth presented Mr. with an appreciation certificate award for him and his team for their contribution to the prizes for this years Monroe County Fair. Post recieved a donation and thank you card from a deceased member family member for the Post’s contribution and memorial to him. Text was read from a member who lost a family member. Was very appreciative of the contribution and those who came and paid their respects. Contribution made to the Sweet Adeline’s program. Motion Approved. Post Commander Thanked everyone in attendance who worked the gates and the booth and this year’s Monroe County Fair. 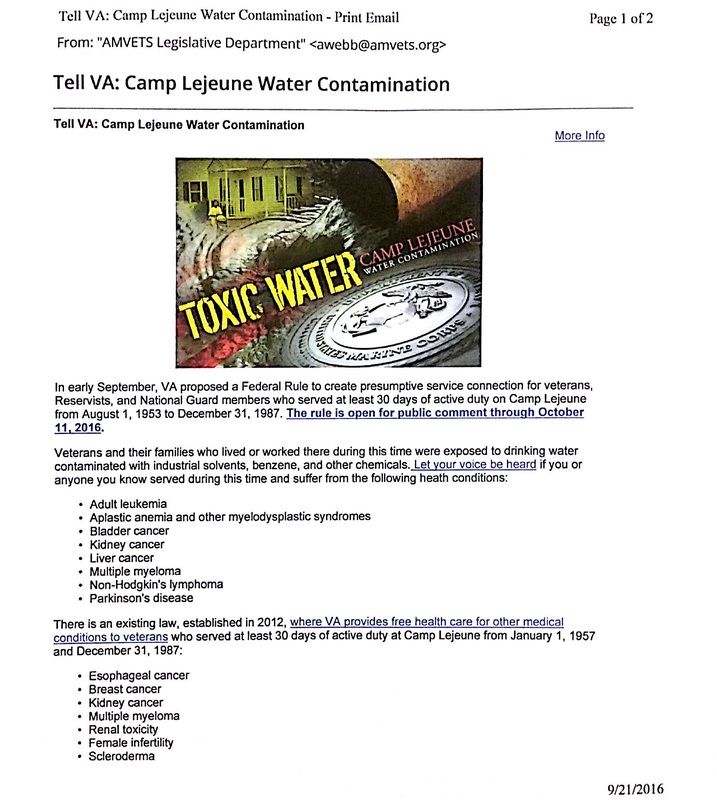 Post Commander reported that it was brought to his attention that the Corl-Gaynier AMVETS Post 1942 is one of the most active Posts’ in the State of Michigan for what it does in and for its community. There will be a Benefits & Health Stand Down at the Salvation Army, located at 815 E. First St. September 27th from 10:00 a.m. – 3:00 p.m. There will also be another Viet Nam Pinning Ceremony conducted. So any Viet Nam Era Veteran who has not been able to attend a previous ceremony, this is another opportunity. Members hours of volunterism is being kept. They are requested by District that way they can see how each Post is being active in their community. It was asked that our Post would host the District Meeting here in Monroe. More details to come and following meetings. Discussion was held disbribution for local donations. October Spaghetti Dinner for October was mentioned. Tickets and more information at later meeting. Members took part in drawing names for the prizes at the from this year’s fair. Good Luck to all that entered. Next Post Membership Meeting: September 22, 2016.